Great stay. Cant wait until next time! Everyone was very helpful and accommodating. Guest Services was very responsive. It was a perfect long weekend and we look forward to returning in the summer and also would love to experience foliage in the fall. Outstanding. We will be back in the Spring and plan to request the same cabin. Perfect for all our needs and management was super helpful throughout the process. The staff is very friendly and helpful. Answered all my questions, and relieved my doubts. The cabin was very clean and accessible. I loved how cozy and intimate the setting was. I was very satisfied, and are definitely coming back with others. I would like to thank the staff for all they do in making a comfortable stay possible. All of my communication has been through email but it has been very pleasant. 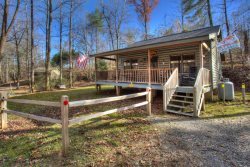 I would highly recommend this property to anyone who is looking for a nice wooded cabin that will allow pets and is close to small town shopping and antiquing. We really enjoyed working with you guys. Very helpful! We Loved our stay so much that we are planning our next trip and have decided to move to the area. Very quick with the reservation process and very helpful to my wife with some questions she had. Overall it was a great experience. My only regret is not staying longer. Cabin was all we had hoped for, exactly as the photos portrayed. A total pleasure with all you need, like a home away from home. Absolutely lovely! Sorry we had to leave! The team was really great to work with. Easy, and painless. 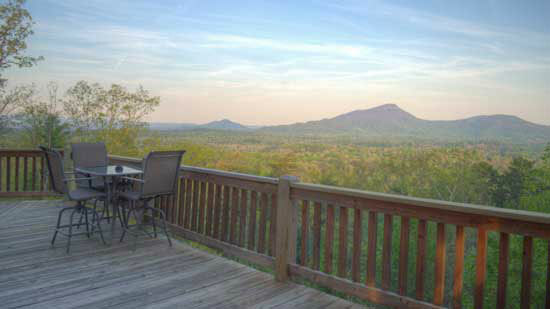 We enjoyed the stay very much, even enough to consider purchasing some property in the area. Since I am a contractor I would purchase a lot and build on the property myself. We really did not work with any team members during our stay- it was nice not having t actually "check in" somewhere and then go find the cabin or "check out" on the way home. We were given instructions on how to get in and how to leave... Easy Peasy! We thoroughly enjoyed our stay. We had a very nice quiet romantic weekend celebrating 6 years of marriage.